Wheaton Drama is now seeking teachers for their annual Summer Workshop. Wheaton Drama workshops will help build confidence by giving the attendees first hand experience in creating a live production. Children will learn how teamwork works in building a theatrical presentation…besides having fun and making new friends.The place to be this summer is Wheaton Drama’s Playhouse 111. Teachers will be responsible for working with a specific age group in building theatre skills, music skills or dance skills (depending upon the position they apply for). There will be several meetings in order to prepare for the summer as a group prior to the start of our July session. We will work as a leadership team to make sure that all staff feel comfortable and know what to expect. Dance – Staff will be responsible for teaching each group a “class” dance to the music choose by the music teacher. They will also be teaching a camp finale dance number to the music choose by the music teacher. Music – Staff will be responsible for teaching each group a “class” song that fits with the camp theme (to be chosen by the workshop staff). They will also teach a camp finale song that fits with the camp theme (to be chosen by the workshop staff). Theatre – Staff will be responsible for working with their “class” on various theatre games to help build confidence. They will also find and present a short script that will fit with the camp theme (to be chosen by the workshop staff). Our workshop moto – “It is about the process NOT the product.” We only have one week together and our goal is for the students to have fun and to learn something along the way. They should make growth from the moment they walk into the theatre on day 1 to the moment they leave on day 6. Our leadership team is there all week to help in anyway they can. Teachers can apply for Music, Theatre or Dance for week 1 (elementary), week 2 (middle school / high school) or both weeks. They will get paid $500 per week. All applications are due no later than midnight on March 12th. Staff will be working from 8AM – 5PM Monday – Saturday. They are required to be present the whole time. Staff will be working Wednesday from 12:30PM – 5PM and Thursday – Saturday 8:30AM – 5PM. They are required to be present the whole time. Staff will be working from 8:30 – 5PM Monday – Friday and 8:30 – 1PM on Saturday. They are required to be present the whole time. Register NOW: Kids’ Workshop begins Jan 8! A Fun Experience For All! Young performers, Grades 1 – 8, will learn basic onstage and acting techniques while they develop their imagination and creativity. All children will have a blast as they explore acting through a series of theater and improvisational games. This ensemble building class will foster each student’s self esteem and help him/her become an independent thinker both on and off the stage. 5:00 p.m. until 5:55 p.m.
To register, visit www.wheatondrama.org or call 630-260-1820 and leave a message about registration. Note: Classes are subject to change based on enrollment. Posted in Children's Workshop, Classes | Comments Off on Register NOW: Kids’ Workshop begins Jan 8! Register NOW for Late Fall Kid’s Workshop! A six week workshop designed to strengthen the acting “muscle”. Through acting games and exercises, each week students will work on a different aspect of acting technique such as movement, voice, characterization, pantomime, plus others. Teamwork, focus and listening are added benefits in this acting workshop. Students will also work on a short 15 min skit to apply the skills learned and will perform at the end of the last class. Session will be posted throughout the year as they become open for registration (roughly a month before the class starts). Grades 1 – 4: 4:00 p.m. until 4:55 p.m.
Grades 5 – 8: 5:00 p.m. until 5:55 p.m.
Late Fall Session: October 30 – December 11 (Make Up December 18 – Note no class November 20 due to Thanksgiving) Registration Now Open! Note: Classes are subject to change based on enrollment. Registration for each class will be open one month before the class begins. If there are not enough students enrolled in any given session then the class may be cancelled. Notification of a cancelled class will be sent out one week prior to the start of class and all money will be refunded. Registration for classes close the sunday before class begins. Staff: All staff are certified teachers who go through extensive background checks each year. Contact Elyse Willis for more information at wdieducation@gmail.com or call 630.260.1820 and leave a message about registration. Posted in Children's Workshop, Classes | Comments Off on Register NOW for Late Fall Kid’s Workshop! Love theatre but don’t have time to do a full show? Never been on stage and want to give it a try for the first time? New to the area and have no idea what Wheaton Drama is? Well, we have the perfect answer to all of these questions and more! Join us for our first-ever Adult Summer Theatre Workshop. Participants will participate in this performance-based workshop (acting/singing/dancing). We have the best of the best to help guide you on your journey throughout the workshop weekend. The cost of this workshop is only $20, which will cover the cost of special workshop shirt and a small stipend to our teachers. 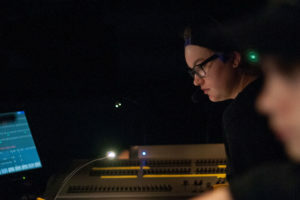 Registration is open online at www.wheatondrama.org beginning July 11 through August 17. There are only 15 spots available, so make sure to sign up TODAY. You do not want to miss out on this amazing new experience at WDI this summer. Questions please feel free to email Elyse Willis (Education Governor) at wdieducation@gmail.com. Wheaton Drama seeks teachers for our 2018 Summer Workshop, a weeklong experience in which students learn about theatre, dance and music. Students will spend time with each teacher (dance and theatre), learning about each performance process and developing lifelong skills. We stress process over product, but parents will see what their children have been working on during a showcase performance at week’s end. The Wheaton Drama Summer Workshop provides comprehensive theatre instruction for children in grades 1–5 during Week One and in middle school (grades 6–8) and high school students during Week Two. Elementary Week One (July 9–14) 8 a.m. to 4:30 p.m., performances on Saturday, July 14. Middle and High School Week Two (July 16–21) 8:30 a.m. to 5 p.m., performance on Saturday, July 21. Each teacher will be paid $500 per session. Please fill in and submit the WDI_2018 Summer Workshop teacher application form by March 10, 2018, to wdieducation@wheatondrama.org. If you have any questions please contact Elyse Willis, Wheaton Drama Education Governor, at wdieducation@wheatondrama.org. You are currently browsing the archives for the Classes category.